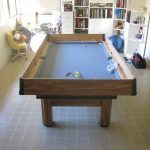 This Brunswick Billiards table located in San Juan Capistrano, CA is installed in this room which I suspect gets a lot of sunlight throughout the day. 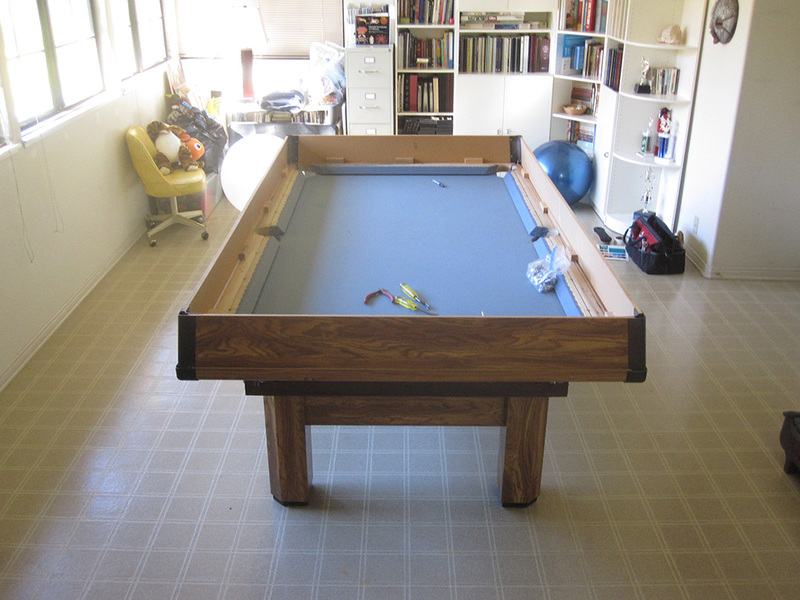 Now mind you, this eight foot Brunswick table is only 12 years old. This might sound old but the rubber cushions typically last somewhere in the neighborhood of 20-25 years. I think if this table were covered and the room’s temperature didn’t fluctuate so radically, the cushions would have lasted longer. The original cushion rubber was Brunswick’s Superspeed K-55 profile. We only stock the more common K-66 profile. 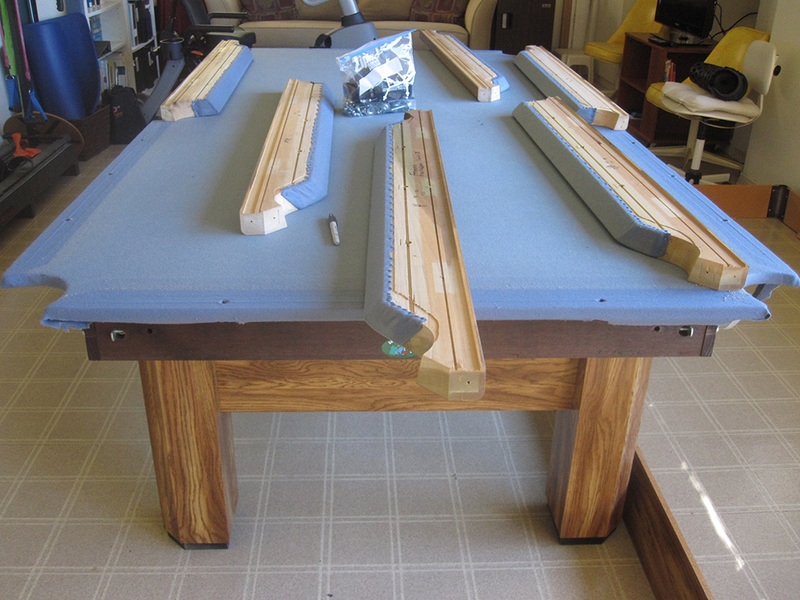 I called my good friend Brian, at West State and had him ship me a set for my customer’s rails. We glued them up yesterday and we’ll most likely cut the angles on Saturday, then glue the cushion facings on and then trim and shape them. 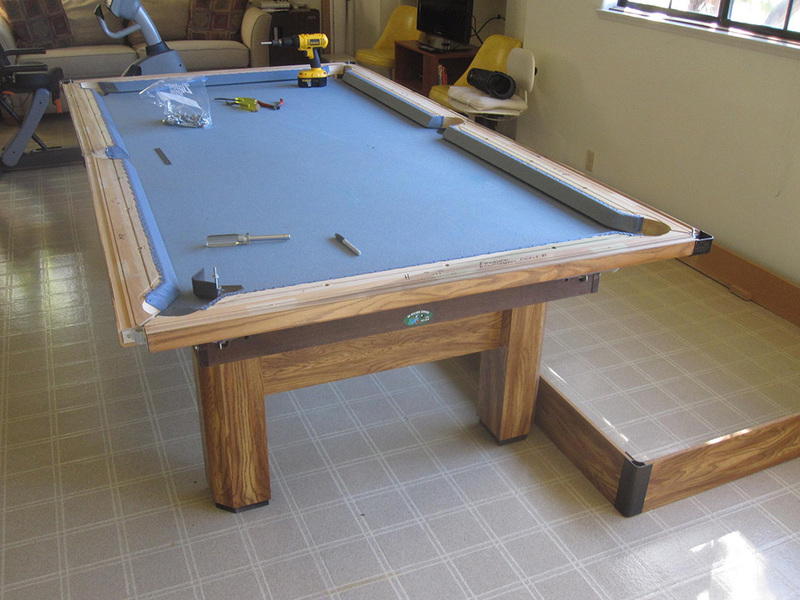 After these steps are done we’ll install new Mali 10820-f Cadet Blue billiard cloth. Our customer has asked us to return to his home to finish up the job before December 15. 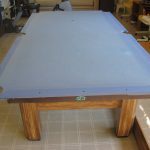 We have actually been so busy with service work that I have had to bring in an old Billiard Mechanic friend of mine to help me keep up with the shop work. 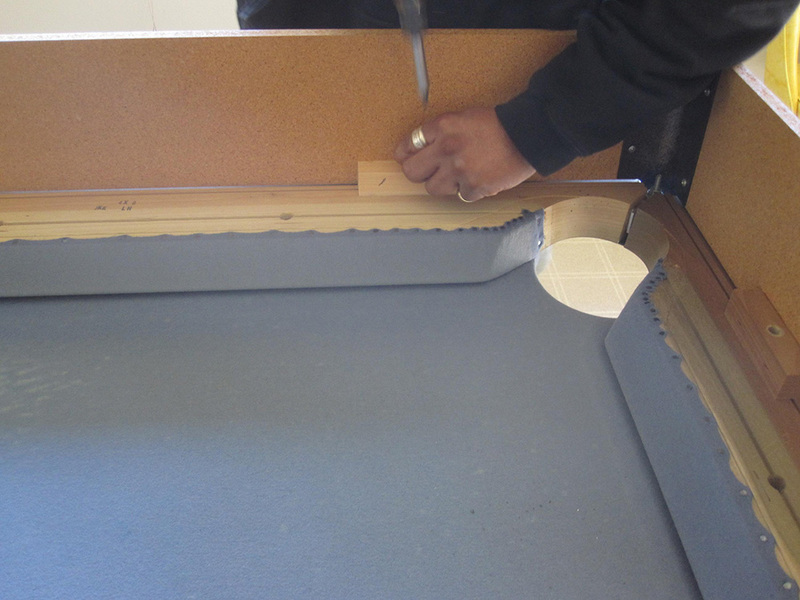 A typical recushion job usually takes us about 5-7 business days to complete. Then a few more days to fit the client back into the work schedule. 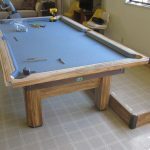 I have heard through the grapevine that there are more than a few rogue billiard techs who try to convince unsuspecting pool table owners that doing a recushion job in their home, in just a hour or so is the correct way. 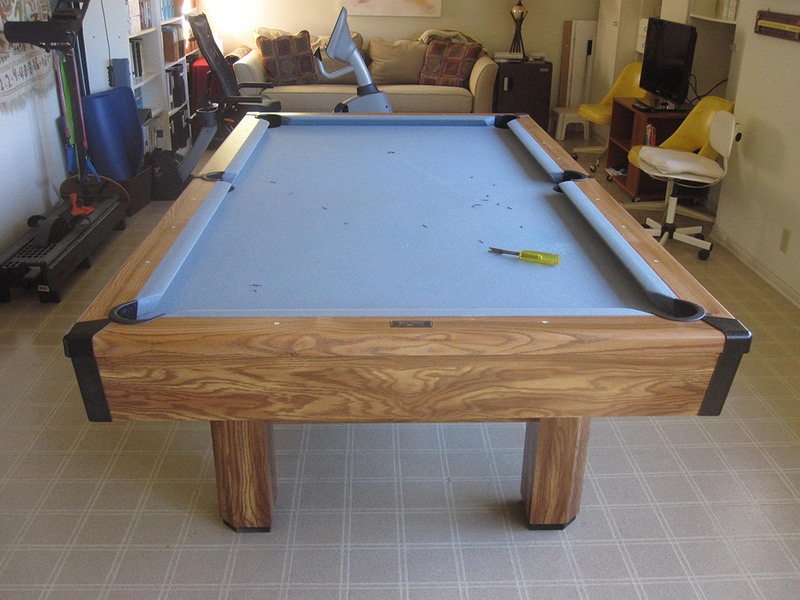 Number one, I would not want to take a chance on ruining a client’s home or pool table by trying to speed through finishing such an integral part of the pool table. Not to mention the odors from the solvent and adhesives used. In my opinion, it’s just not a professional. 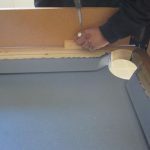 I have had to replace many cushions over the years. all done in my shop. 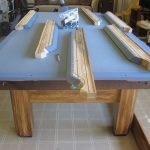 the so called billiard mechanics that do it on the road don’t even sand the rails , they just use white glue (like on most American Heritage pool tables). it sets quickly but cannot be removed without taking some of the wood rail with it. I have to cut them off with a table saw and charge more to do it. Hey there Hank, right on the mark brother! 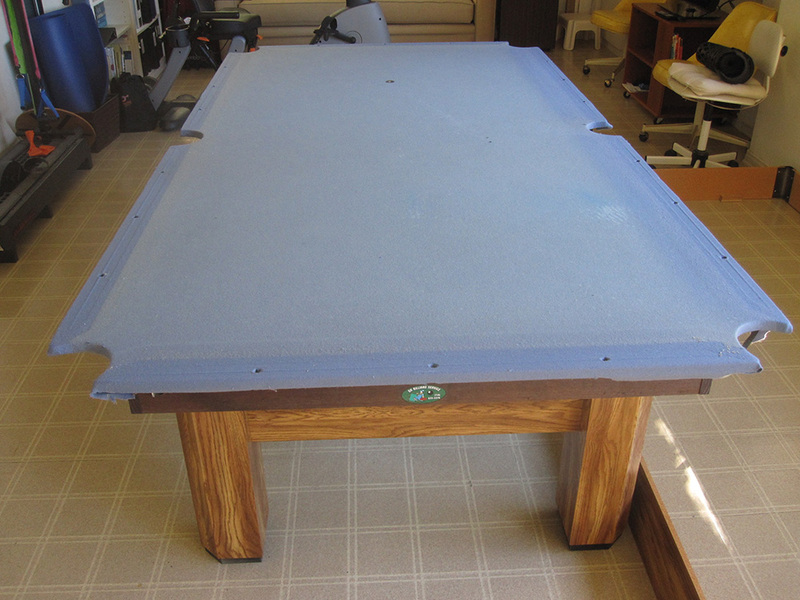 Your clients will get best results when pool table recushion jobs are done in the proper environment such as a shop. Keep on trucking, Dave.